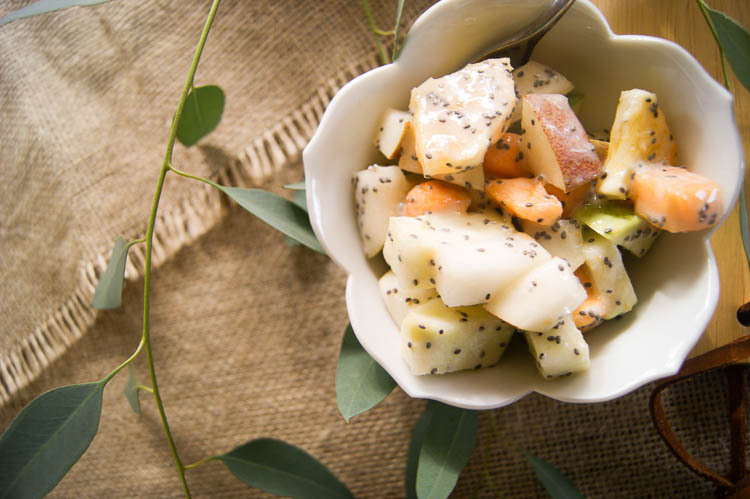 Favorite fall fruits such as d’Anjou Pear, Granny Smith apple, persimmon and seasonal citrus – wrapped together in healthy yogurt dressing and chia seeds for additional nutritional boost. Are you looking forward to January 1st? A day of so much hope for the new year. New you. A healthier you. Nearly half of Americans set out to make New Years resolutions, but according to this report, only 8% are successful in achieving their goals for the new year. Many will fail within the first week. We are well into December but our farmer’s markets are still boasting Autumn’s beautiful warm hues of persimmons, pears and citrus fruits of all kinds. 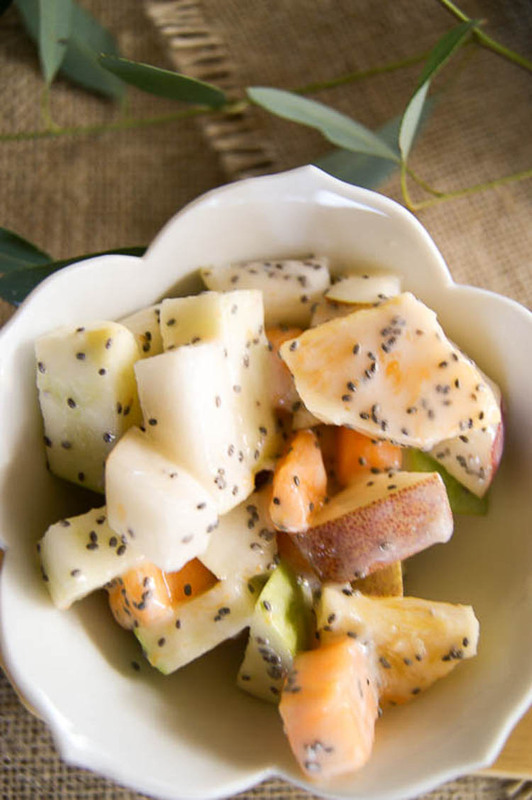 This fruit salad is a wonderful addition to your Christmas brunch – all the fruits can be chopped the night before and tossed in dressing just before serving. 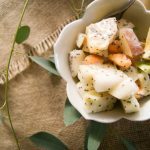 The addition of chia seeds gives a powerful nutrient boost to this salad making this salad high in fiber, magnesium and phosphorus (among other nutrients). Chia seeds get extra brownie points for doing that ever so important job of absorbing the salad juices making this salad still tasty the next day. Any fall fruit will work in this recipe though my goal was to make a quick and easy desert with just a handful of my favorites like granny smith apple, D’anjou pear, persimmon and an orange from our backyard. I’m sure the addition of pomegranate anvils would be lovely atop this salad. Really, anything goes. The dressing is just as simple as the contents: plain yogurt, real maple syrup and of course, chia seeds. Feeling ambitious? You can give a hand at my homemade yogurt, find those directions here. 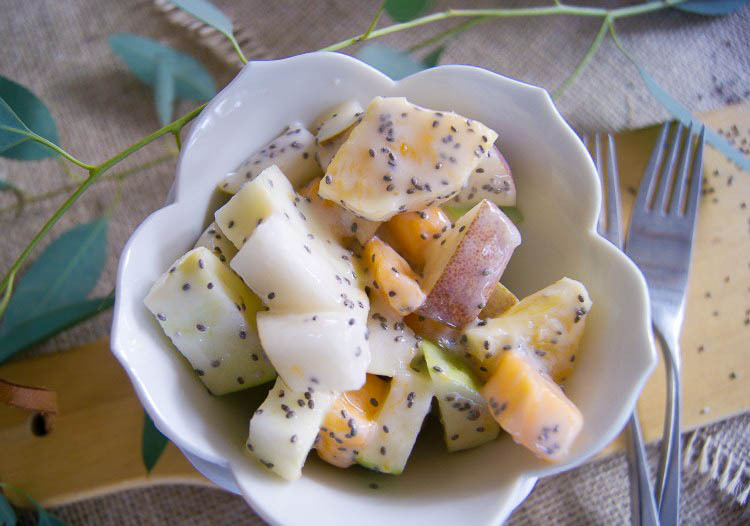 Favorite fall fruits wrapped in grass fed yogurt and chia seeds for nutritional boost. Wash and dry fruit. 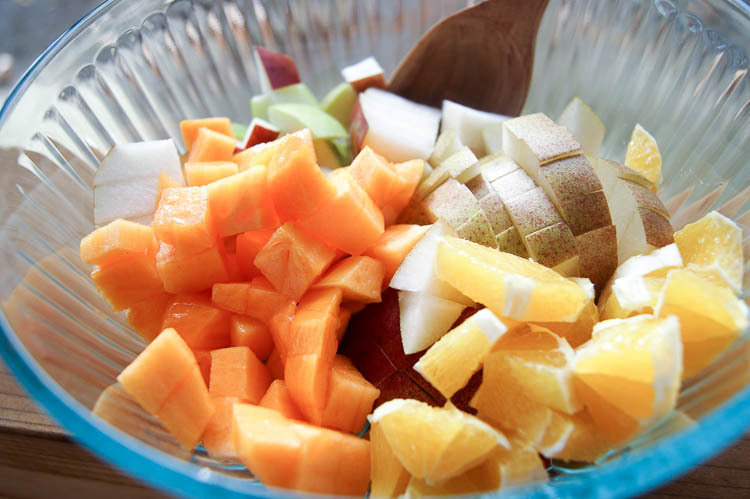 Cut all fruit in 1/2"-1" pieces. 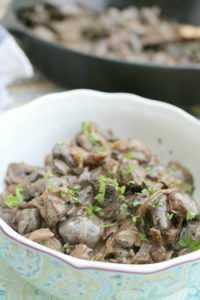 Combine all ingredients in a medium sized bowl and toss well with the yogurt and maple syrup. Allow to sit for 10-15 minutes for chia seeds to absorb excess moisture. Can be refrigerated up to 24 hours. The fruit can be chopped and combined ahead of time. Toss in yogurt-maple syrup dressing just before serving. 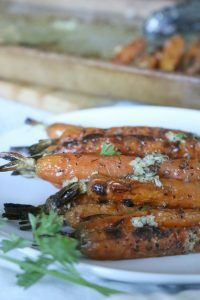 Garnish with pomegranate anvils or mint and enjoy! Chia seeds not only absorb moisture, they also add a nice nutritional punch to the salad. Feel free to add your own toppings like roasted coconut flakes and cacao nibs. Or perhaps some candied pecans would be awesome too. 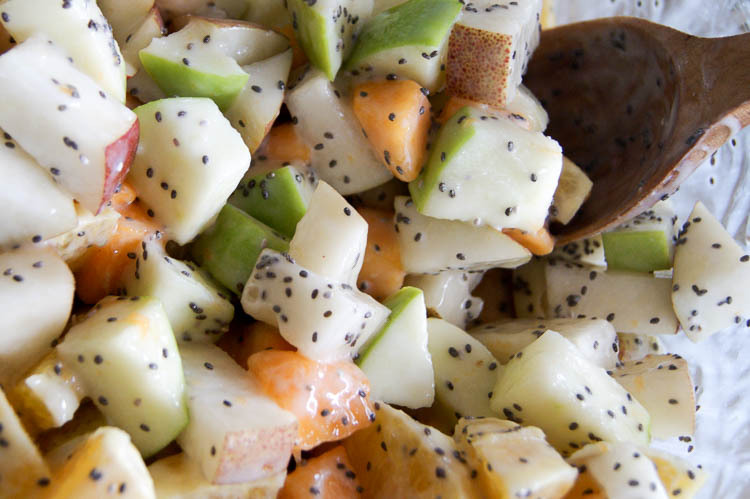 I love chia seeds, but have yet to use them in a fruit salad, great idea, this is so pretty and sounds delicious! Thanks for sharing at What’d You Do This Weekend?! Thanks Joy. 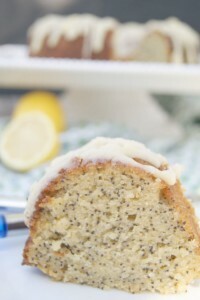 Chia seeds are so versatile, love them!! Thank you Miz Helen for the sweet words. Merry Christmas to you and yours! YUM! I hope you have had a wonderful holiday season! Thanks for partying with us at Merry Monday. Our first party of 2016 begins tonight, can’t wait to see what’s new!